Myra Hogan, a determined woman with a kind and optimistic spirit, passed away on March 3, 2017 at the age of 87. Myra grew up in New Jersey, first living in Mount Holly, then Madison where her father was superintendent of Madison schools. Weekends and summers were enjoyed at the family’s early 1700’s stone cottage on the banks of the south branch of the Raritan River. Many extended family members lived in neighboring towns, and the country cottage was the natural gathering spot for family and friends to relax fishing, swimming, barbecuing, playing croquet, and sitting by the evening campfire. After high school Myra enrolled in Oberlin College, choosing Oberlin because it was a top liberal arts school with no Greek societies, and had a long history of promoting social justice. Myra graduated with a B.A. in math and a minor in education. It was at Oberlin that Myra met a dozen of her closest lifetime friends. They agreed to keep in touch via a Round Robin letter circulated among the group, which still continues to this day after 66 years. Myra’s first career aspiration was to be a high school math teacher who would excite students and make math understandable by all. Myra looked for a position after graduating Oberlin, but found few math teaching opportunities for young women in post WWII high schools. She was offered a job teaching all the math and science at a segregated white high school south of the Mason Dixon line, but Myra said she could not compromise her principles and rejected the offer. This was a spark that sent Myra in a new direction. Myra then moved to New York City to enroll in Teachers College at Columbia University for a master’s degree in elementary education. While at Columbia Myra was a 6th grade student teacher at the Little Red School House in Greenwich Village, a progressive private school that is still open today. It was there that Myra was exposed to many novel approaches to education which she adopted throughout the rest of her career. Upon graduating from Columbia Myra taught 4th grade in Summit, New Jersey for three years. While attending an Audubon Camp near Donner Pass in 1954, Myra met several teachers from San Diego who urged her to move there. Myra was excited to accept an offer the next year from Crown Point Elementary School in San Diego, driving her green Nash Rambler from New Jersey to San Diego by way of Glacier National Park. Shortly after moving to San Diego Myra became active at the First United Methodist Church of San Diego. She met her future husband, Hurst Hogan, there at the young adult singles group. Myra and Hurst were married in 1957, and then welcomed two children into the world: first a son and three years later a daughter. Two kids at home gave way to Myra being a stay at home mom, who also volunteered as children’s coordinator at the First United Methodist Church. In 1970 Myra was employed as Director of Children’s Education. Under Myra’s leadership, a part-time day care program was started, and expanded to the full time “Children’s Growing Center” still in operation today. In the 1970’s Myra continued her studies at Claremont School of Theology and UCSD. She was consecrated a diaconal minister in 1978 and ordained a deacon in 1997. Highlights of her 30 years of ministry include the development of a daycare and preschool program, vitalizing and growing summer day camps, and designing and leading teacher training workshops. 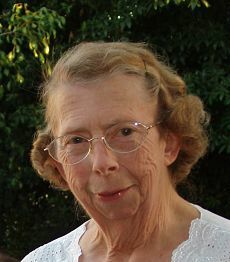 Myra was active in Christian education in southern California, serving on several boards and committees including the San Diego School of Christian Studies. In retirement Myra continued as a Christian education consultant and enjoyed traveling extensively with her husband, usually with a focus of experiencing and embracing the culture of the areas visited. Myra moved to Santa Barbara in 2005 after her husband passed away to be close to her only grandchild, Siena. Myra loved camping, butterflies, making candles, taking daily walks, and reading John Shelby Spong’s weekly column. She was devoted to family, enthusiastic about travel, placed high importance in advocating for and helping others, and easily adapted to new situations. Myra had deep compassion and appreciation for all the world’s people, cultures, and religious traditions. She will be greatly missed. Myra was predeceased by her husband Hurst, and is survived by her son Robert Hogan, daughter Martha Hogan (Don Adams), and granddaughter Siena who brought her great joy in her later years. A celebration of Myra’s life will be held Sunday, April 2 at 3:00pm at First United Methodist Church of Santa Barbara, 305 E. Anapamu St. A service will also be held in San Diego at a later date. Friends may honor Myra by remembering the Children’s Growing Center (www.fumcsd.org/cgc), the First United Methodist Church Santa Barbara (www.fumcsb.org), KPBS National Public Radio and Television (www.kpbs.org), or your local PBS or NPR station.